Snow Station serves shaved snow, which is a frozen dessert item originating from Taiwan that is made from blocks of flavor-infused ice with a light, fluffy, rich and creamy texture, and is very similar to ice cream. It almost seemed to me like a combination of ice cream, sorbet and sherbert. 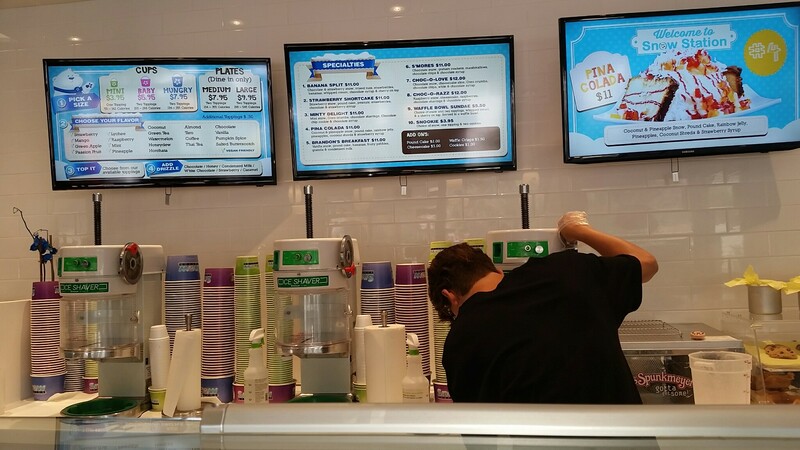 Unlike ice cream, shaved snow is significantly lower in calories at only 72-142 calories per 12 oz. serving which I thought was quite awesome! The flavor was amazing and the consistency was perfect! 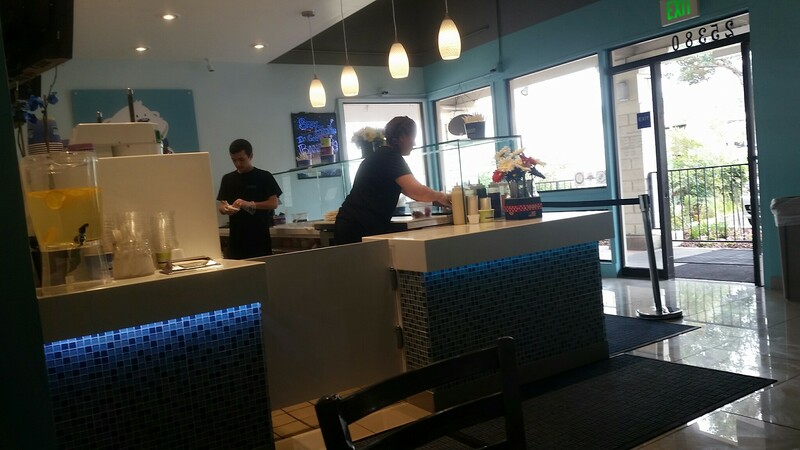 In addition to having a variety of different frozen dessert flavors, toppings and syrups, Snow Station also offers multiple vegan, non-dairy, lactose-free flavor options including strawberry, mango, passion fruit, green apple, raspberry, mint and lychee with healthy toppings such as fresh fruit, dried fruit and granola! I had a hard time making a selection of which specialty plate to order because there were so many delicious options. 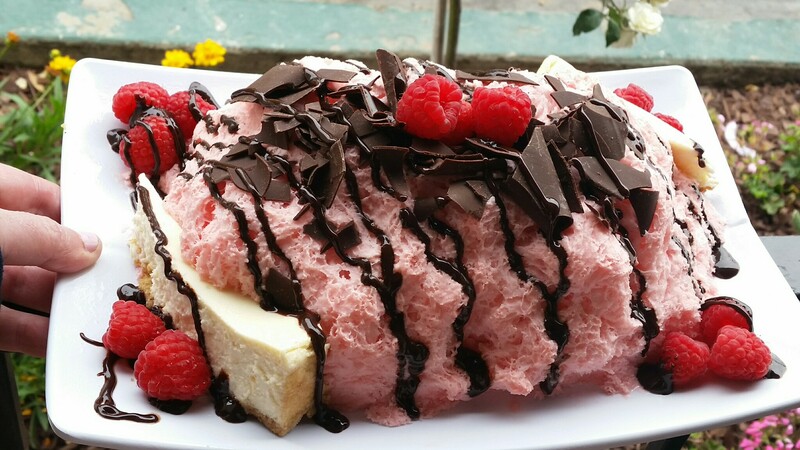 I finally decided on the Choc-O-Razz that included raspberry snow, cheesecake, raspberries, chocolate shavings and chocolate syrup. 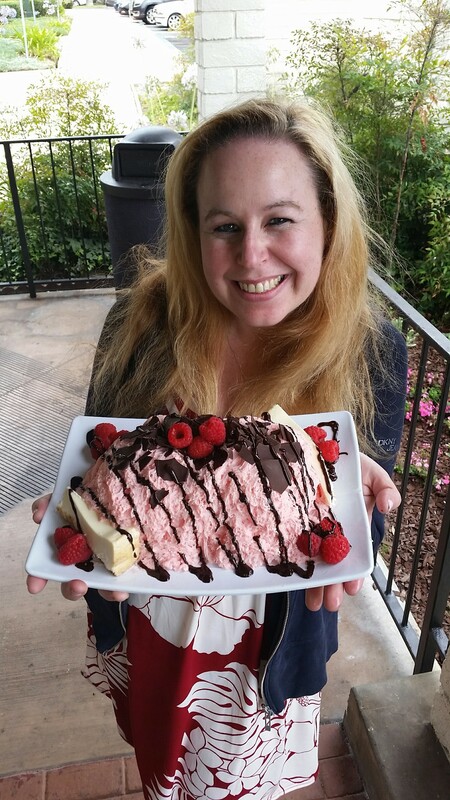 I am a chocolate raspberry fanatic and this is always my favorite combination of flavors! 🙂 I even had leftovers to enjoy the next day! My husband’s selection was the Snookie which was a cookie sandwich with fresh snow pressed in-between. 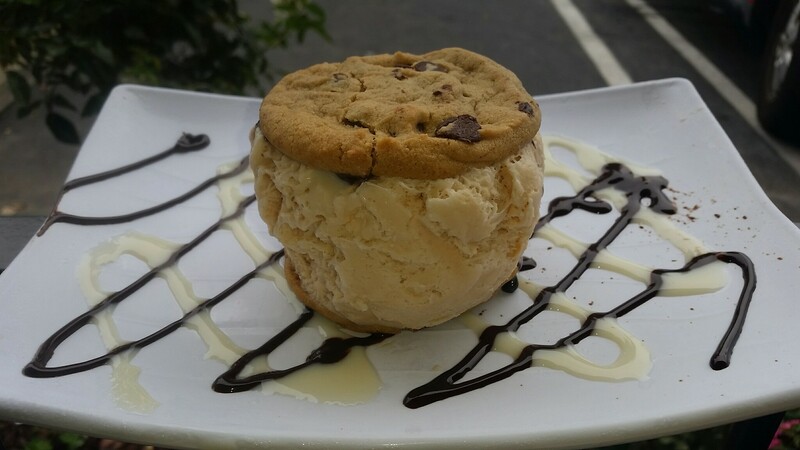 🙂 My hubby happily chose Horchata snow and some flavored syrups slathered between two chocolate chip cookies! It was so very tasty and we were both very happy with our selections! 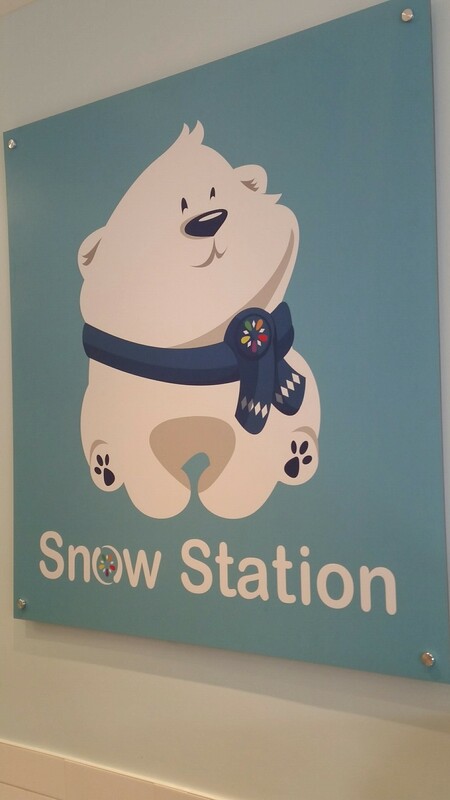 I will definitely be visiting Snow Station again soon! 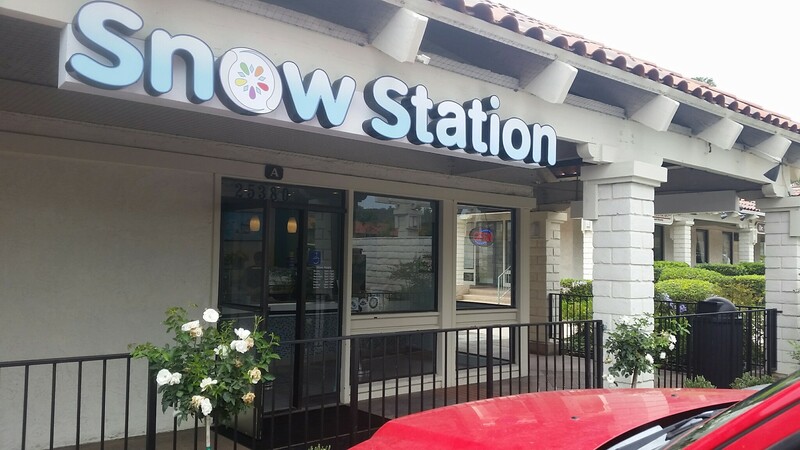 Snow Station is a specialty dessert restaurant that opened its first location in Westminster, California in 2012 and now has a total of eight independently owned Southern California locations including Mission Viejo, Tustin, Anaheim, Buena Park, Los Alamitos, Eastvale, and Eagle Rock! Prices ranged between $3.95 & $12 and these desserts are well worth it! OMG! Those pics look way too delicious! Thank you so much Min! If you have never been to this place, you must go! Yum!!! Min this place is seriously amazing! If you have never been, you must visit! Thanks for the comment!